Let’s put the Red Bulls’ futility in the Lamar Hunt/U.S. Open Cup into proper perspective. The last time the Red Bulls reached the final of the competition, midfielder Tyler Adams was in 2003, when the team was known as the MetroStars and the U.S. Under-20 midfielder was four-years-old. New York has an opportunity to take step to that rather elusive goal against the New England Revolution in Thursday night’s quarterfinals in Boston and Adams knows it’s a win or go home scenario because this is a knockout competition. The Red Bulls lost to the Chicago Fire at old Giants Stadium in the 2003 final. That’s 14 years of frustration and early elimination, not only at the hands and feet of MLS sides, but to teams in the lower divisions of the U.S. soccer pyramid. 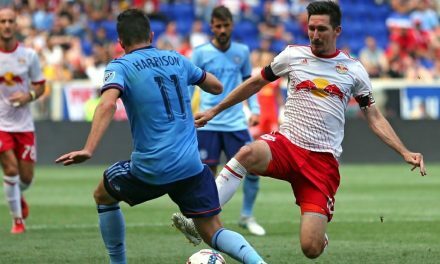 With the Red Bulls only two wins away from a final, captain Sacha Kljestan felt that should spur his team on. The Red Bulls certainly are not taking anything for granted. Before they took on the Revs in an MLS match last week, head coach Jesse Marsch said the loser would have an advantage in the Open Cup encounter because they would be more fired up. 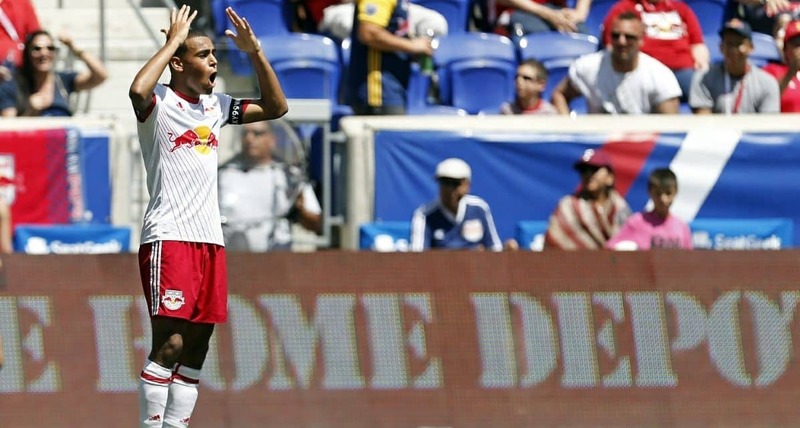 The Red Bulls rallied for a 3-2 comeback win at Gillette Stadium in Foxborough, Mass. last Wednesday. “So our ability not to be naive, to understand what this game is going to require to know what a quarterfinal in the cup is going to be like on the road in a tough place to play against a good team, it’ll be to be really important,” Marsch said. The Red Bulls traveled to Boston one day early to check out Jordan Field, the Harvard University pitch. “We don’t know Harvard at all. I know Harvard. I don’t like Harvard,” Marsch said with a laugh. He attended Ivy League rival Princeton University. Forecasts call for rain in Boston Thursday night. “So we might have a weather game like they often get in Boston so that sets up for a real messy battle,” Marsch said. Kljestan indicated that he was ready for anything, given the unpredictable nature of the competition. 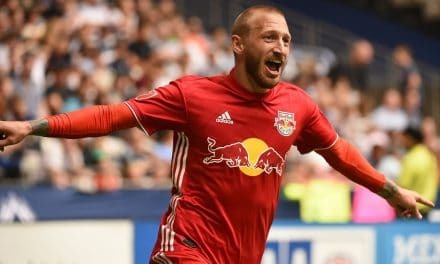 The Red Bulls captain hoped to use the momentum of the team’s Open Cup success going during the regular season and into the MLS playoffs.